Below are three views of President Barack Hussein Obama speech in Cairo, Egypt. The first view is that of David Axelrod, Senior Advisor to the President. Included in his unsolicited email was the link to the video of the speech which is provided for your review. The second view is that of Gary Bauer, Director - Campaign for Working Families who highlights perceived deceptions. The third view is that of Tony Perkins, Director - Family Research Council who noted the historical errors in the speech. David Axelrod: A New Beginning - As a Senior Advisor to the President, I'm here in Cairo, Egypt where I watched President Obama deliver an unprecedented speech calling for a new beginning for the United States and Muslim communities around the world. The President outlined some big goals for this new beginning in his speech -- including disrupting, dismantling, and defeating violent extremism. It was a historic speech. Gary Bauer: The Cairo Deception - It was tough to begin this day by watching President Obama destroy history, undermine Israel and bow, this time rhetorically, to Islam during his speech at Cairo University. Below are some examples and my reactions. REACTION: Tolerance? Dignity? Islamic countries dominate the list of top human rights violators in the world. Throughout much of the Middle East, Christians live in fear and Jews can’t live at all. REACTION: Nice try, Mr. President. Thomas Jefferson kept a copy of the Koran at least in part because he wanted to understand what part Islam played in motivating the jihadists of his age – the so called Barbary pirates – in America’s first encounter with Islam and the first time we sent troops into combat overseas. OBAMA: “On the other hand, it is also undeniable that the Palestinian people – Muslims and Christians – have suffered in pursuit of a homeland. For more than sixty years they have endured the pain of dislocation. Many wait in refugee camps in the West Bank, Gaza, and neighboring lands for a life of peace and security that they have never been able to lead. REACTION: The president here repeats a central tenet of Palestinian propaganda. Israel did not evict Muslim Palestinians – Arab League nations ordered them to leave. Nearly 20% of Israel today is Muslim. Nowhere does the president mention the Jewish refugees forced to flee to Israel. Nor did he mention that it is Arab Muslim countries that keep Palestinians in refugee camps rather than inviting and integrating them into their own countries. REACTION: Don’t miss the significance of this statement. Here Obama is calling for turning Jerusalem, which has always been home for Jews, into an international city under control of who? 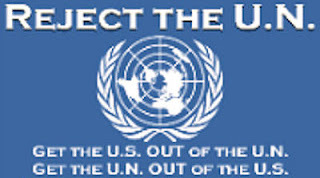 The U.N.? The E.U.? All religions have access to Jerusalem now, because Israel, unlike its neighbors, is tolerant. REACTION: Yet another big wet kiss from the president for King Abdullah of Saudi Arabia, a country that will not permit a Bible to be displayed nor allow an infidel to set foot in its “holy” cities. REACTION: Here the president extends an olive branch to one of the most bloodthirsty terror groups in the Middle East. The only “aspiration” Hamas is interested in fulfilling is the destruction of Israel and the eviction of the U.S. from the Middle East. And notice when the president says that Hamas must recognize Israel’s right to exist, he very tellingly leaves off the most important phrase “as a Jewish state.” Hamas will never recognize the right of Jews to have one nation. Tony Perkins: Outreach or Overreach? - Much is being said about President Obama's speech today at Cairo University. Left-leaning pundits have touted the speech in a leading Arab nation as a bold outreach to "the Muslim World." It may be a bold outreach from a political perspective, but it was certainly a bold overreach from a factual and historical perspective. Quoting from the Koran four times, the President said, "Islam has always been a part of America's story. The first nation to recognize my country was Morocco...let there be no doubt, Islam is a part of America." Actually, Mr. President, it was Holland. On November 16, 1776, officials at Saint Eustatius in the Dutch West Indies fired "the first salute" to a warship bearing the American flag. The event was the subject of a best-selling history book by Barbara Tuchman, two-time winner of the Pulitzer Prize. The President is certainly entitled to his own opinion of America. But, as Ronald Reagan said, he is not entitled to his own facts. President Obama went on to cite John Adams' words when second president signed the Treaty of Tripoli in 1796. Adams, at the time, said we had "no enmity against the laws, religion, or tranquility of Muslims." The only problem was that the Barbary Pirates, then operating out of Tripoli, continued to prey on American shipping. Although he didn't use "micro loans" or new "science and technology" funds, Adams attempted to buy them off and failed. By 1800, nearly one-fifth of the federal budget was consumed in trying to pay off predatory rulers in North Africa. When Thomas Jefferson succeeded Adams in 1801, he dispatched warships and U.S. Marines "to the shores of Tripoli" to fight for American rights. Jefferson was determined not to pay tribute to the Muslim rulers of North Africa and to stop their seizing U.S. merchant ships and selling American seamen into slavery. That effort succeeded. And yes, Jefferson did own a copy of the Koran as President Obama stated in his speech today. But the reason he read it when he was serving as our ambassador in Paris was to see if it could really be true -- as Arab diplomats were telling him -- that the Koran gave them the right to attack and enslave Americans and all other "infidels." Jefferson concluded from his reading that America must fight--not pay tribute--to protect her citizens. Tags: Barack Hussein Obama, Barack Obama, Cairo, David Axelrod, Gary Bauer To share or post to your site, click on "Post Link". Please mention / link to the ARRA News Service. Thanks! A truly depressing set of thoughts to begin a weekend! On top of all this, listening to the network news anchors gush about how Obama 'schooled' the world was just too much. Obama's childish and naive world view will come back to haunt us. The next major war is on the horizon - invited there by this President's weakness. ToMAS1916. What is truely depressing is the lack of will to change. You rarther work to prove your fears come true, than work out how things could be different.